Thank you to locals Alec and Teddy Bruno for your longstanding support of Vail Veterans Program, raising a total of more than $9,000 through your annual Lemonade & Patriotic Bead Stand at the Vail America Days Fourth of July parade. Capt. 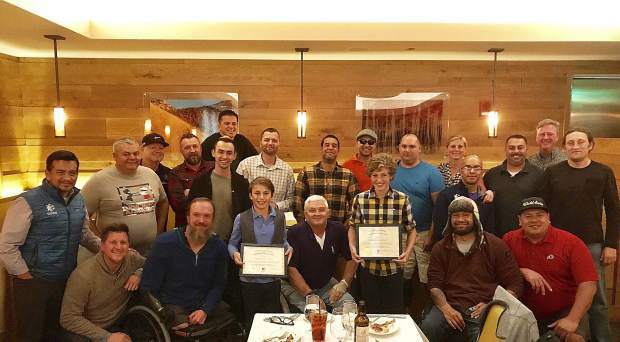 Dr. Jeff Tomlin presented the Bruno boys with a certificate of appreciation at Elwayâs restaurant during a ceremony at the 2017 Resiliency Training program. Thank you to the Elwayâs team for providing a delectable meal, wonderful service and for hosting this very special event.